So, my 40th blog post is going to be my first interview with a fellow author. 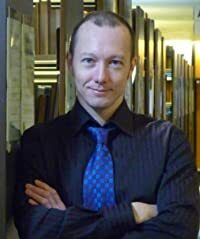 Karl Drinkwater is a fellow author I met through Goodreads.com. I've read and reviewed his book Turner, giving it a full five stars and which I'll add on here as part of the introduction. "A terrific read. Suspenseful. Fast-paced, but won't break your neck. A true page-turner. As a horror writer myself, I take pride in a certain level of familiarity with the types of stories that are out there. This book had me guessing (mostly wrong) the whole way through. The narrative flows with it's own voice while also giving you a sense of familiarity, certain passages reminding of the styles of Stephen King and H.P. Lovecraft. I want to make it a point that the author writes in true English and not American English. Certain parts are also written in Welsh, though they are all followed by translations. Both of these facts only add to the work, as the story reaches back through history. They add a sense of age to the work which makes it all the creepier. If there was anything I didn't like about the story, it's that you had to be careful which characters you get attached to. This is one of those book where NOBODY is safe from getting the ax. Thankfully, though, the dog stays unharmed." I would definitely recommend it to anyone with an interest in a good horror novel. So, without further ado, allow me to introduce and welcome Mr. Karl Drinkwater. Welcome, and thanks for the interview. What got you into writing novels, and why Horror for your first book? I started writing stories as a child at junior school, and was always fascinated with words and descriptions. I read loads of books and was a year or more above my age in reading ability. One of my favourite things was climbing the weeping willow at the bottom of the garden and reading books, either Enid Blyton or scary stories, the branch moving slightly beneath me. For many years I wrote short stories but they got longer and longer until I realised I was ready to tackle a novel. You’re right that my first book to reach the wider world is horror, but it isn’t the first novel I wrote. I spent a year writing a story of relationships in an office. Every break time and lunch time at work I would wheel my chair to the desk behind me where all my sheets of paper were stacked up and continue hand-writing the novel. Then at the end of the break would spin round and go back to library work. However, that book needed lots of work. I couldn’t see how to fix the imperfections at the time, and it ended up shoved into a drawer. I decided that I would try something with a faster pace, a tighter grip on the reader, something they wouldn’t want to put down. I remember pondering it while lay on my bed doodling one day, and decided I would write Turner to tick all those boxes. I called my girlfriend into the room. “Let’s go on a holiday to a mostly-deserted island, preferably without electricity.” She probably thought I was a bit mad, but then did the research and we chose Bardsey Island. 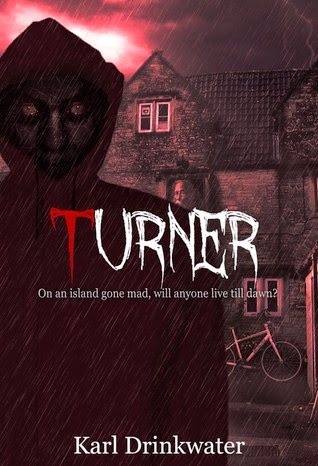 Stayed there a week and I hand-wrote Turner, incorporating some elements of the island into the fiction. Then the weather turned bad and we couldn’t get away. I actually had to ring work and tell them I’d be missing a meeting because I was stuck on an island. Great fun to tell that to your boss and for it to be true. After reaching the mainland again it took a surprisingly long time to type the novel up, rewrite it, work with editors and a proof-reader and so on before it actually birthed itself in a peal of thunder, blood, and whirring chainsaws. So horror was really my second novel, after my failure to write a literary masterpiece that twanged the heartstrings like a pink guitar being plucked by a drunken fat-fingered man in a red raincoat. After Turner, you went back to Literary writing though, with your most recent book Cold Fusion 2000, correct? I have to admit to not having read that book, yet. Can you tell us a little bit about it ? Well, it’s a book about how the past affects us, and the difficulties some people have in moving on. At its heart it is a love story but is also about life, coping, and maturity, seen through the lens of a physics- and poetry-obsessed super-geek (the physics and the poetry illustrate different and often-competing parts of his personality). I took a big chance with this book and used a structure that relies on the reader making connections - almost impersonating the main character - in order to understand a major part of the story. I wrote it in an ambiguous way that means anyone can enjoy the main story but things often have two meanings, and a reader who puts in the time and effort is rewarded with certain patterns that change the meaning. It’s difficult to say more without giving it away, but I’ve been lucky with my readers, and many of the reviews of the book have been really perceptive, have understood what I was trying to do. That feels absolutely fantastic. I love readers who ‘get it’. It is actually a partner novel to the one I’m writing at the moment. Both stories about relationships set in Manchester in the year 2000, chosen as a turning point in lives, a time to re-evaluate what we want to achieve. The one I’m writing now has a lot of crossovers in place, theme, and even some minor characters. Hopefully when taken together they’ll add up to more than their parts. Sounds intricate. Could this be the start of an entire series? No, just two books, partners for life. I’m planning on making the covers match up when placed side by side. Apart from one or two short stories related to the characters I’ll move on completely when the novels are finished. Same with Turner – there will be a sequel, but that will then end the story. None of this trilogy stuff for me. I’ve always thought two of anything is enough, and the best things come in pairs. Apart from chocolate cakes, of which you can never have enough. I can only take so much chocolate myself. I prefer a nice homemade Red Velvet cake. If I had my grandma's recipe I'd always have one made. But then again, I'm not much of a cook. I once screwed up macaroni and cheese so bad my dog wouldn't eat it. Anyway, between your two books on Amazon.com and on Goodreads.com you've got a total of 55 ratings/reviews, two of which are are two-stars while the rest are three or better. Is there anything you're not good at? Ha ha! I’m not good at lots of things. I am not good at following my own advice, dished out so freely to others; I am not always good at resisting temptation; I’m not very good at dealing with the state of the world and human nature which can leave me rather depressed if I’m not careful. But in those cases I think you just have to do something positive (write some letters, give a donation, go out and do something) then not dwell on the issue too much. I’m not as good at handstands as I’d like, and I have the typical man/runner problem of not being good at doing forward bends. Which suggests I should go to yoga more, but I’m more likely to be distracted by a game of Plants versus Zombies, or drinking wine and eating chocolate on the beach. As to reviews, obviously we make the books as good as we can, then revise and improve as necessary. Getting the audience right is key. I’ve discovered that giveaways are great for building awareness of your work, but it also means people who don’t even like your type of book enter it just to get something for free. Then give you a lower-scoring review, which is counter productive. Being able to target people who will enjoy your book whilst excluding others is important. Then everyone is happy. Like many things, it is easier said than done. Would certainly be nice if we could keep our books out of the hands of people who aren't really interested in the genres we write in, but then, some people surprise themselves by liking something they hadn't thought they would. At the very least, they may like a particular author enough to appreciate the writing and the story while looking past the genre the work is in. You're also from the UK. Aside from the obvious differences in language (humor vs. humour for example), have you noticed any differences in how other countries look at writing and books? Good point about expanding a reader’s appreciation of other genres. Mmm, that’s a tricky one, about differences. From the reviews it seems that some US readers warn others that the language is UK English and not to be put off by it. which struck me as strange the first time I saw it since in the UK we read US and UK books and never think twice about which it is, we just adapt to the text. I have quite a few readers in Nordic countries and I noticed they are very good at analysing parts of the text, or it could just be the particular readers I’ve attracted! Overall though I just see an international community of readers, and am touched by how easy it is to cross national barriers now and find people who appreciate your work. Well, as Americans, we tend to not view things in a lens of international community. It's more just to tell people, "Some of these words aren't spelled like you're used to, but they are correct." Otherwise you might get reviews which talk about how many misspelled words you have. Do you have an ultimate goal for your writing? To be able to make a living off it would be nice! But really I just want to write things I’m proud of, and that can generate emotion in other people, whether it be fear or pity or sadness – I don’t care, as long as it touches people in some way. I pour my love and care into each book, get things out which need to be said, then let them free in the world. I’ve always written stories and I always will, and I look forward to seeing where this takes me. Sounds good to me. Any final comments you'd like to make? Only that I wish us both luck with our future writing endeavours! Plus: peace and love to all. The world needs it. Thanks for interviewing me. Many thanks to Karl for coming and allowing himself to be interviewed here. I greatly encourage anyone interested to take a look at his books. 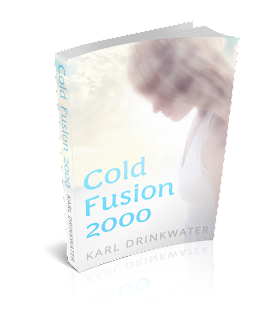 I can personally vouch forTurner and if that's any indication, Cold Fusion 2000 should be an excellent read as well.